Politics and Prose is considering wine tastings, workshops and children’s activities at its new Union Market location, which will have access to a venue with room for up to 800 people. WASHINGTON — D.C. bookstore Politics and Prose will open a second bookstore at Union Market, and it plans to play well with its foodie-centric neighbors. Union Market is full of food and drink vendors, and Politics and Prose, whose Connecticut Avenue store is as much a venue for author signings and other literary events as it is a bookstore, sees opportunity there. “There are all these fantastic spaces operated by vendors in the food business, so there is the possibility of partnering with those businesses and offering something with an author and maybe a food tasting or beer or wine flight,” Jon Purves, Politics and Prose’s director of marketing, told WTOP. “We’ve definitely begun playing around with those ideas to see what works in the space,” he said. The Union Market Politics and Prose will have a small in-store space for events, but it will have access to Union Market’s Dock 5 venue, with room for up to 800 people, for larger, ticketed events. It is considering classes, workshops and children’s activities at the new location as well. 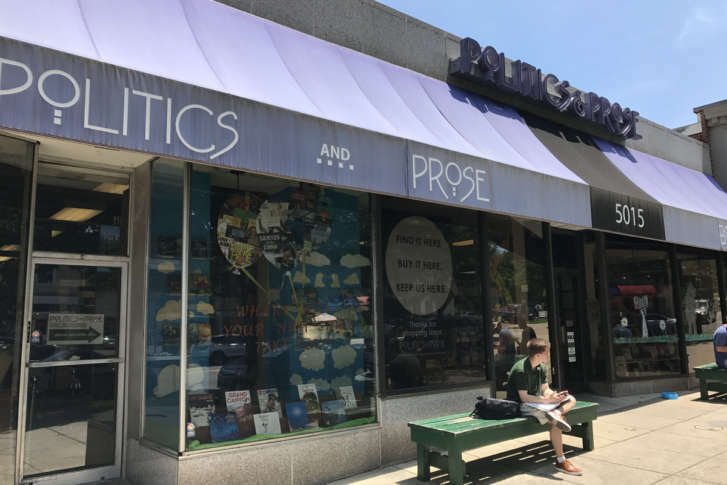 Purves said Politics and Prose has been looking for a second location for some time, and considered Union Market a good fit because of its creative energy and its future development. How has a small, independent bookstore survived the Amazon effect, when so many others have not? The Union Market Politics and Prose will open sometime this fall, although an official opening date hasn’t been set.